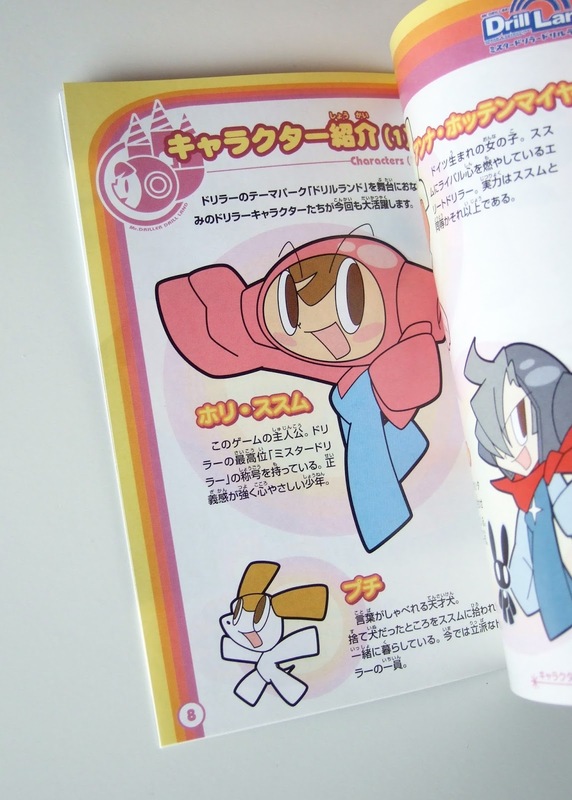 Considering every aspect of Namco's long-running Mr. Driller game series is utterly adorable, it astounds me it took me so many years to jump aboard. In fact, I didn't buy my first Mr. Driller title--that would be the PlayStation port of the very first one--until late in 2011. 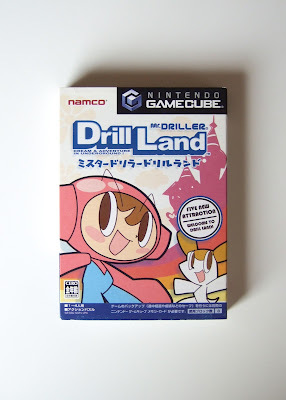 A year later, the Mr. Driller floodgates opened and I bought the DS entry, Drill Spirits, as well as the WonderSwan iteration of the original. 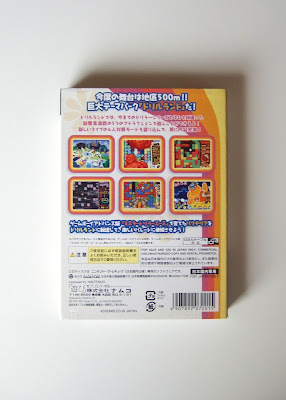 Today, I own so many Mr. Driller games they're coming out of my ears. OK, that's obviously overstating things a tad, but the point stands. 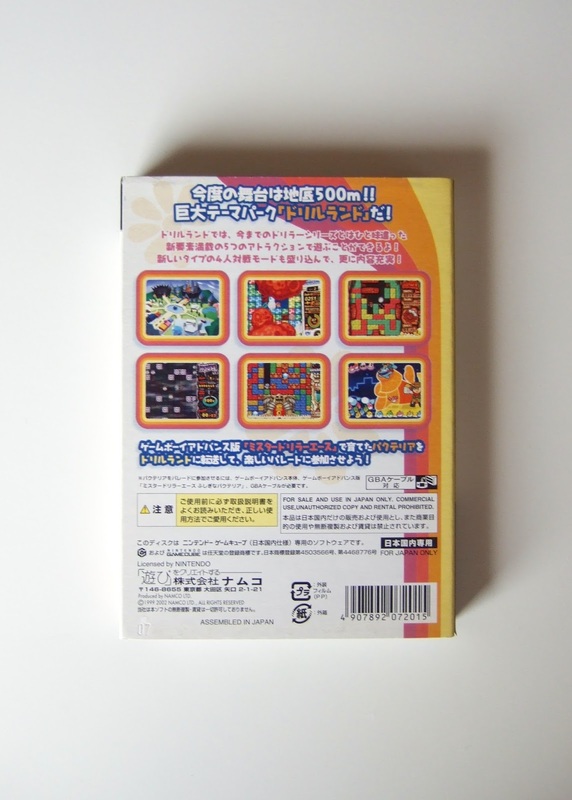 I have a lot of Mr. Driller cartridges and discs at the moment. Without question, the one that's most dear to me is the one displayed in the photo below. Another reason is Drill Land's gorgeous packaging. Seriously, take a gander at the front of the game's outer sleeve (above) and try to tell me it doesn't make you tear up a smidge. 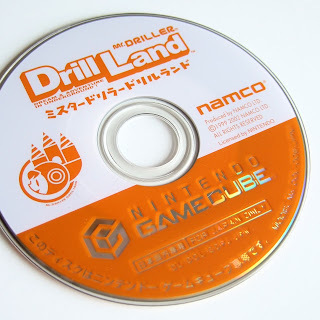 Naturally, the back of Mr. Driller: Drill Land's outer sleeve is looker, too--though I doubt anyone would argue it looks better than its flip side. That said, I quite like the 1970s-esque "swoosh" that flows down the reverse's right edge. 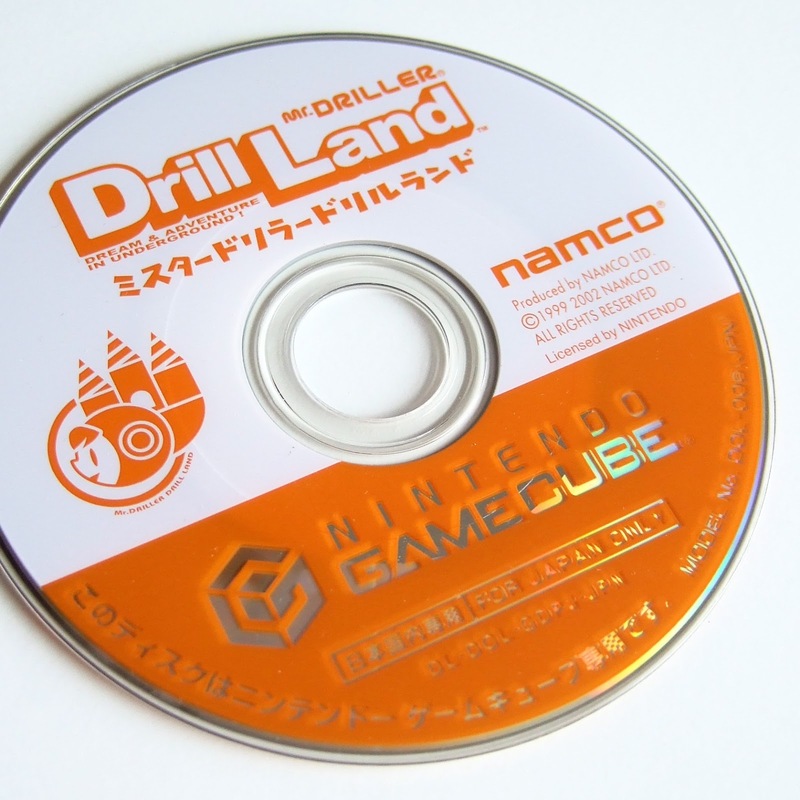 Drill Land's outer sleeve also sports a lovely little illustration near the base of its side flap. A small detail, yes, but a nice one all the same. 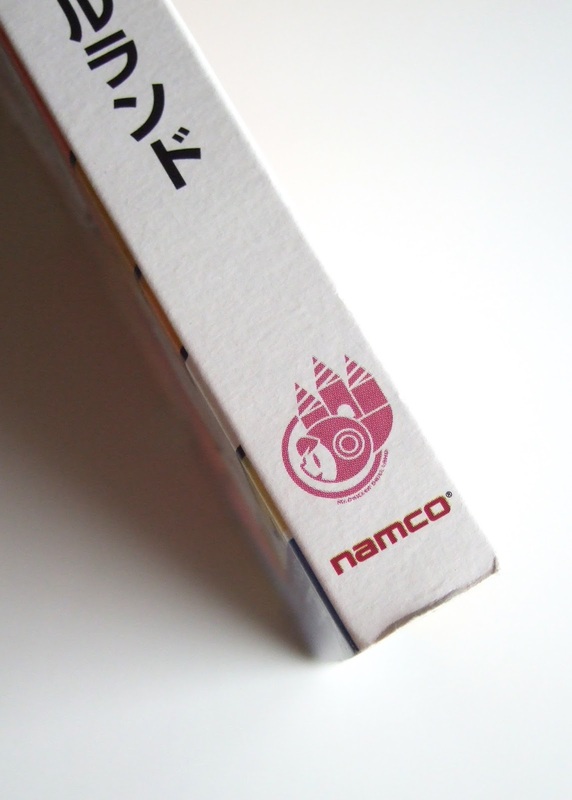 That same illustration pops up on the game's shockingly teeny disc, which can be seen in the previous snapshot. The use of orange here is rather nice, don't you think? 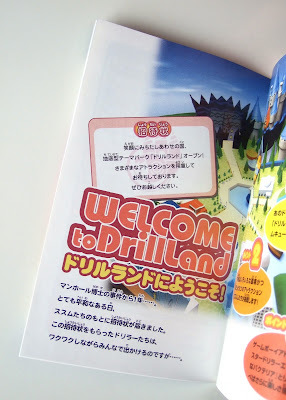 I don't know that I'd go so far as to suggest that inside Mr. Driller: Drill Land's instruction manual is where all the magic is, but I'd definitely say some magic is present within its many pages. The spread showcased above is a good example, as is the one below. Admittedly, Drill Land's manual suffers from a lot of the same ailments that hold back most such booklets produced after, say, the PlayStation era. Which is to say it features too much text and too little art. Still, I'm not going to toss it into the trash anytime soon. So I guess I'll just leave things at: "it could bet so much better." 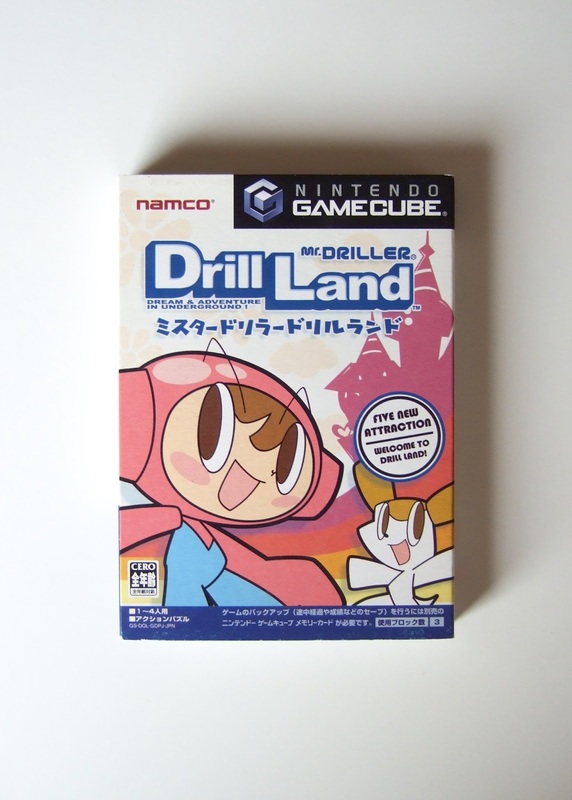 Have any of you played Drill Land--and any other Mr. Driller title, for that matter? If so, please share your thoughts about them in the following comments section.